RAILROAD.NET • View topic - Minnesota Commercial?? Is the Minnesota Commercial RY still using their Alcos or are they stored? I was up there in July, a C424 was on the ready track, an RS27 returned from switching, the AlcoCat was in the shop, and the M420 and another 424 were stored amongst nuerous GE's...so yes the Alcos are very much alive. Yes, they still use them, although which ones at any given time varies, and they are gradually getting phased out by the GEs. oibu wrote: Yes, they still use them, although which ones at any given time varies, and they are gradually getting phased out by the GEs. They definitely are still using them - I saw RS-27 #316 moving a train downgrade under Hennepin Avenue this afternoon. I don't think the Monster of the Midway (M630 #73) is active at the moment though, some pictures noted that it's been out of service for a year or two. The 73 is on teh WNYP, I'm sure you menat the M636Cat 71. I ca't say firsthand/100% certain, but no it's been a coupel year since I can comfirm it operating. The 73 is now operating as WNYP 631. ERIE 360 wrote: The 73 is now operating as WNYP 631. Photo taken by me Friday 8/22/2008 in the town of Bath, NY. Just caught MNNR 80 (an RS23 end-cab switcher) up at the north end of the line in Fridley, kicking some cars around the Commercial's transload facility. One more Alco/MLW confirmed still alive and kicking! Does anyone have a current roster for the MNNR (both Alco and otherwise)? Are the Alcos still used and if so what jobs are they on? 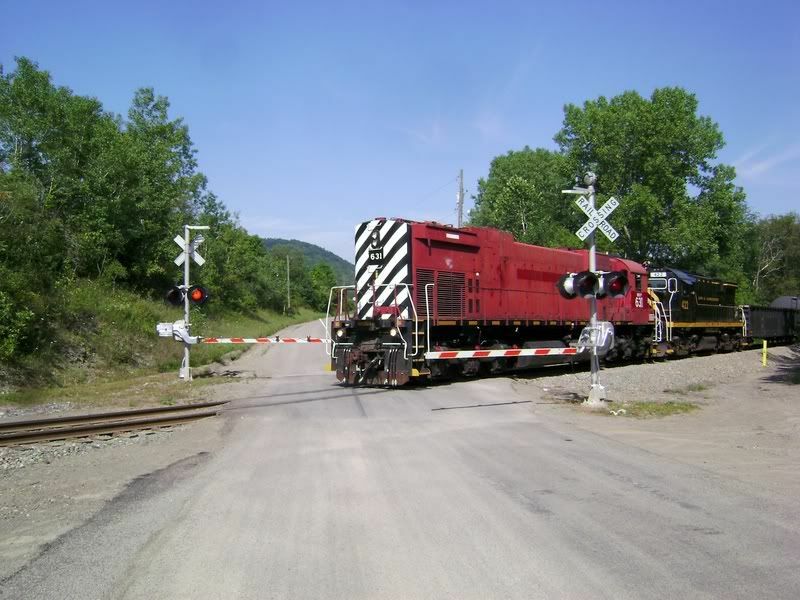 mkerfe wrote: Does anyone have a current roster for the MNNR (both Alco and otherwise)? When I was there and paying attention last (2016), they still used four-axle Alcos, and still rostered six-axle ones. Pretty sure they largely use Dash 7s and Dash 8s by now.